. 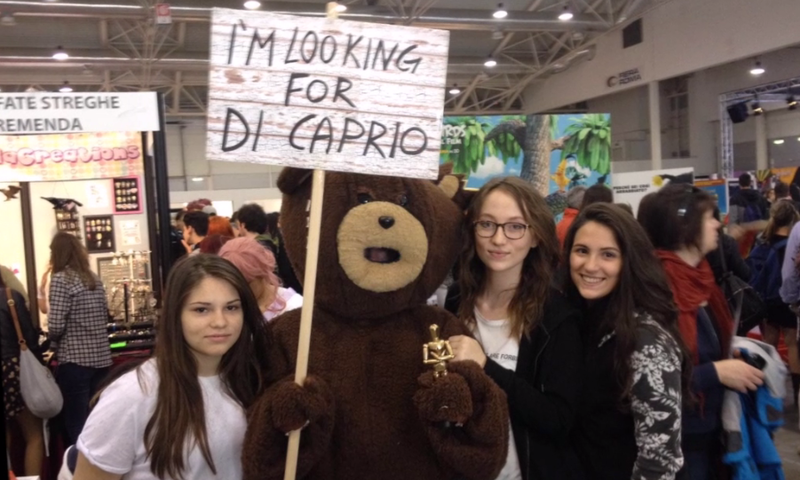 : WE WENT TO ROMICS! Your teacher has asked you to write an article about Romics?!? You don’t have any original idea? Why? You don’t like this topic? Well, here we are to help you with your task. Why don’t you write “the 5 reasons not to write an article about Romics”? 4. Because we are very lazy, ok? 5. What happens at Romics remains at Romics. And now ... our tips, pics and giggles in a vid! We are so happy for your good feedback.Thank you Alice! You're right, Alice! Let's Blog staff is the best! Great job, Chiara, Federica, Karina, Lucrezia, Maria Adele, Martina! Ooook! This is another brilliant achievement, staff! Prouder & prouder of you. Enjoy your long Halloween weekend, everyone! I don't like this kind of attractions but I may go to Romix next year. WHAT WOULD YOU ASK HARRY POTTER? THE WALKING DEAD ARE BACK! DO YOU LIKE PLL? WE LOVE IT! SUMMER HITS 2016. READY TO SING WITH US?